Chocolate bars, peanut butter cups, licorice, gummy bears, candy apples and more. 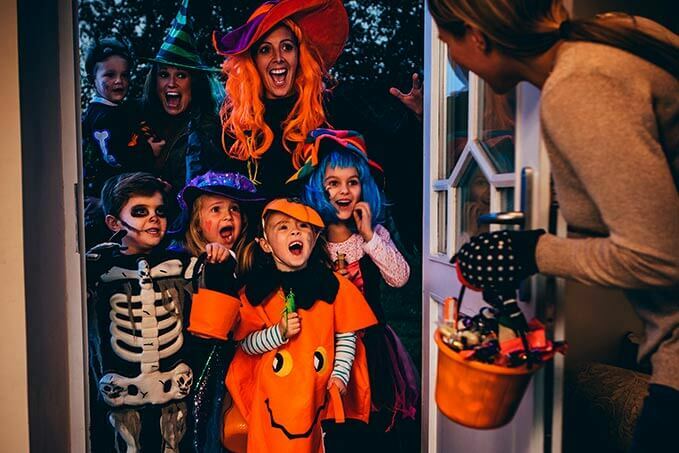 Americans will buy more than 600 million pounds of candy this year just for Halloween! Much of this Halloween candy is moving through the country’s highways and back roads in refrigerated trucks to help adults and children alike prepare for the second most popular holiday after Christmas. Here at ABCO Transportation, our company is well versed in shipping refrigerated scrumptious Halloween candy delights like chocolate bars and everything else in between. We also make sure the best Halloween costumes, greeting cards and pumpkins from the pumpkin patch make it to your neighborhood. In 2016, more than 171 million Americans spent an average of $82.93 for Halloween, according to the National Retail Federation. That’s up from the average of $73.34 Americans spent in 2015. Total spending toppled more than $8 billion, which was an all-time high. A Halloween spending amount in 2017 is expected to top more than $9 billion! Almost 90 million pounds of chocolate is sold during the week of Halloween. The average American buys $44 worth of Halloween candy each year. Thirty-five million pounds of candy corn are made each year. That’s equal to 9 billion pieces, which is enough to circle the moon almost 21 times and back if the pieces are laid end to end. Americans will spend $2.4 billion combined on 600 million pounds of Halloween candy this year. That much candy is equivalent to the weight of six Titanic ships! The average American consumes 24 pounds of candy every year, which is equivalent to the weight of 2,336.6 Hershey Kisses. Chocolate bars, chocolate wafers, chocolate everything. Unfortunately that chocolate can be tricky to ship. Chocolate is shipped on pallets in refrigerated trucks. Chocolate must remain at a consistent temperature during transport, which ensures the tasty treats maintain their shape and quality. Don’t forget that truckers are also hauling those prized pumpkins to your favorite stores too so you can carve your Jack O’ Lanterns in time for the spookiest of holidays. Did you know shipments of pumpkins are very selective this time of year? To ensure consumers get the best pumpkins possible from the pumpkin patch, transporters have selective hauling pumpkin procedures. Pumpkins cannot be too ripe at the time of shipment or they will not survive for the Halloween holiday and be fresh enough for you to carve. Our drivers help inspect the pumpkins for quality as they are loaded and our reefers can maintain the temperature that our shippers and their customers require during transport. Transportation companies like ABCO help make your holiday perfect and help you plan for your holiday. If you’re looking for a company to transport your temperature-sensitive freight, ABCO makes customers their top priority. Our business puts the focus on providing the best and highest quality service that the industry provides. To learn more about our service, contact us today.